It looks like the Motor City has finally broken down, and it’s heading to the mechanic shop to see what can be salvaged. In the latest development of the tragic decline of this iconic city, Detroit filed a petition in the U.S. Bankruptcy Court for Chapter 9 bankruptcy. 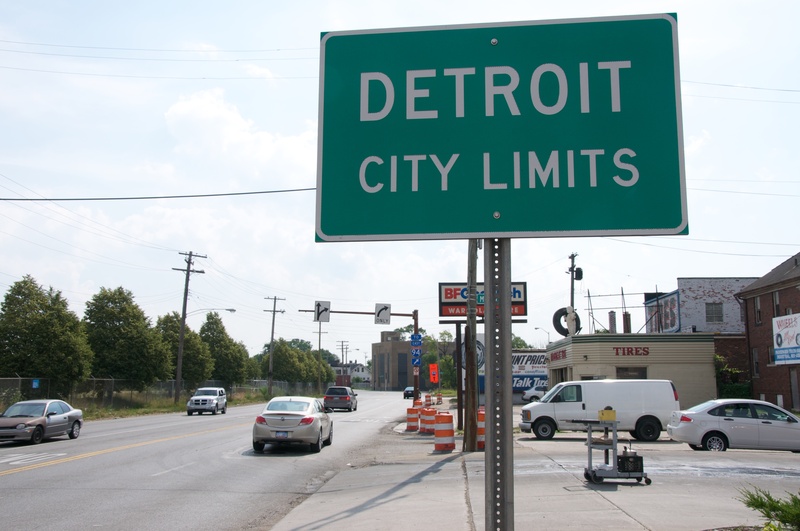 While Detroit’s situation is steering into ugly legal avenues, there are important principles that states and other cities would be wise to recognize. Aside from debates about economic and social policy, at the end of the day Detroit promised more than it could afford to bondholders and to retired city workers. Had Detroit lived within its means and paid for its services as they were delivered, the city would not be caught between a rock and a hard place right now. The flight of jobs and citizens from Detroit has been well chronicled for decades, but recently the situation has reached a crisis level. On March 14, 2013 Michigan Governor Rick Snyder named Kevyn Orr Detroit’s Emergency Manager. Since then, Orr has pursued settlements with the city’s creditors, including both bond holders and retired public employees receiving pensions and health insurance. Orr expressed the desire to restructure at least $20 billion of the Detroit’s liabilities, but most negotiations never got out of the parking lot. A few months in, Orr has more pending lawsuits than successful deals. With such little progress, it should be no surprise that the ride has stopped in bankruptcy. Yet, the bankruptcy process doesn’t solve an unpleasant and divisive conflict that has swirled around policy discussions for years, and has intensified in recent months. There are two primary groups anxious to secure their holdings: municipal bondholders and retired city workers. The question now is who gets paid, and who goes home with their pockets turned out. Municipal bondholders contend that their general obligation bonds are backed by the “full faith and credit” of the city, suggesting that there are few limits to where Detroit can go to fulfill these bonds, including tax increases and the sale of assets. Moreover, they argue that default on these bonds will greatly increase the cost of debt financing for municipalities across the country. This in turn could put an even greater financial strain on Detroit as well as other cities. Retired city workers and their unions, however, make a compelling argument in their own right. These parties emphasize that these retirement benefits are protected by the State Constitution and therefore cannot be slashed. Additionally, many arguments focus on the importance of the pension payments to these retired workers. In one sense these retirees worked for the city in full faith of Detroit’s promise to provide them with a defined benefit. Swift’s argument may seem straightforward. Historically, however, accounting rules have largely excluded this form of deferred compensation from municipal balance sheets. A part, usually very small, is listed as a liability, but unfunded liabilities rarely show up on the Statement of Net Assets. Much of the money (especially healthcare benefits) is not officially owed until the bills come due, which allows the money to be spent elsewhere in the meantime. That leads to an important issue which is often overlooked. Retirement benefits should have been fully funded in the year accrued. In turn, they could have been listed on the balance sheet with sufficient liquid assets to cover them. Putting the benefits on the balance sheet and including them in budgets would help prevent governments from skimping on their payments (or skipping them altogether in a “pension holiday” that is hardly a present a few years later). Truthful accounting could also promote intergenerational fairness. By paying for an employee’s benefits each year as they accrue, citizens completely pay for the services they receive. As the city of Detroit currently demonstrates, inadequate funding forces future generations to pick up the tab for work done many years ago. So how can this save Detroit? Well, honestly, it can’t. When you’ve promised more than you can give, you end up breaking some of those promises. There’s no possible solution in which everyone comes up unscathed; commitments will be breached. There are no more accounting tricks to play. Deciding just how much everyone loses will be a long, painful process for all involved. But that doesn’t mean we can’t learn from these events. Whatever you think about the prudence of current public employee benefits, these employees feel that they have earned their benefits. Can anyone blame them? Even the municipal bondholders are likely sympathetic to a degree for these retired workers, but at the same time believe that their loans to the city should be repaid. One lesson is to honestly account for pension and healthcare obligation costs as they accrue, and fund those obligations completely. The application of good accrual accounting could help reduce the cost of capital for states and cities, in part because it can inspire more confidence in bondholders. It should also be appealing to unions because work paid when it is performed actually gets paid. Paying workers with money and not promises – not such a novel idea, and an idea whose time has come.